Starting Saturday, January 18th through the Friday, January 23rd and Sunday, January 25th to Friday, January 30th Center City Restaurant Week in Philadelphia puts it on the table with their three course lunch for $20 and three course dinner for $35 for Winter Restaurant Week. Alexandria Restaurant Week kicks off Saturday, January 23rd through Sunday, February 1st. You get to choose from lunch, dinner for two or prix-fixe three course menu at the vast selection of restaurants from fine dining to casual. – Alexandria, Virginia Restaurant Week. Metropolitan Washington Restaurant Week pops on the calendar Sunday, January 19th and runs through Sunday, January 25th with lunches at $20.15 and dinners at $35.15. Choose from Art Smith’s Art and Soul, Todd Gray’s Equinox, Fabio Trabocchi’s Fiola Mare, José Andrés’s Jaleo locations, Mike Isabella’s Kapnos to Wolfgang Puck’s The Source with Chef Scott Drewno. Menus and details can be found at Metropolitan Washington Restaurant Week. Howard County Restaurant Week starts the same time as Washington DC’s on Sunday, January 19th but continues through to Monday, February 2nd. The website at this time is listing the restaurants participating with more information to come for each location – Howard County Restaurant Week . 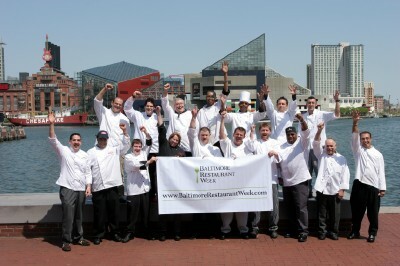 Baltimore City Restaurant Week starts Sunday, February 15th and runs through to Sunday, February 28th. As in previous restaurant weeks, you will be offered two course lunch for $15 and multi course dinners for $20 and $30. Their website hasn’t been updated yet from Summer Restaurant Week but keep checking for the changeover to Winter Restaurant Week – Baltimore Restaurant Week. New York City Restaurant Week dates are Monday, February 16th through to Friday, March 6th for 3 course lunch or dinner at over 300 restaurants. They have yet to update their website for Winter Restaurant Week but keep checking – New York City Restaurant Week. Annapolis restaurants are the late arrivals starting Monday, February 23rd through to Sunday, March 1st. The Restaurant Week promotion from the Annapolis Business Association gives one a choice of a 2 course breakfast for $12.95, two course lunch for $15.95 and a three course dinner for $32.95. Over 40 plus restaurants are lined up to participate. Check them out at Annapolis Restaurant Week. Thanks for complete schedule updates. In these days we can grab the best deals for lunch or dinner.